Cape Agulhas Tourism very first Application for each town in our area. Information on this Application are: Where to stay, What to do and Where to eat - featuring all our members. Just scan and enjoy. Thank App My Village for this brilliant project. 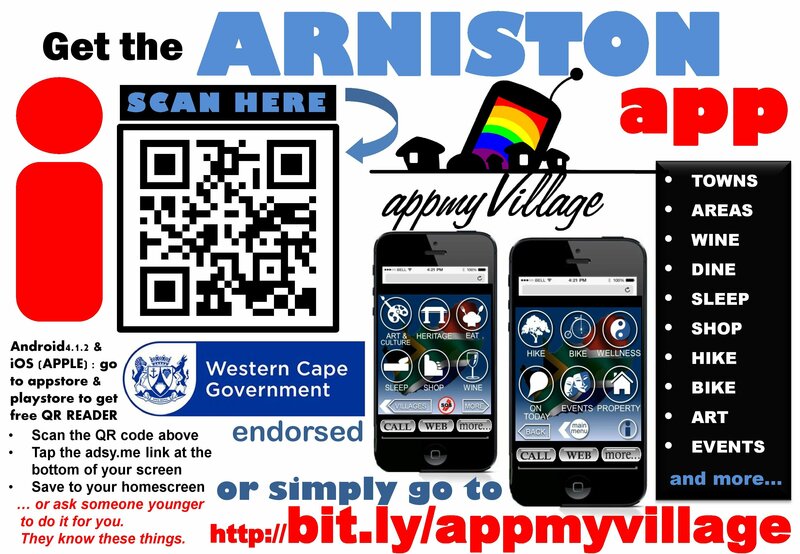 Posters with details to get and use this application are being put up throughout the Cape Agulhas area. 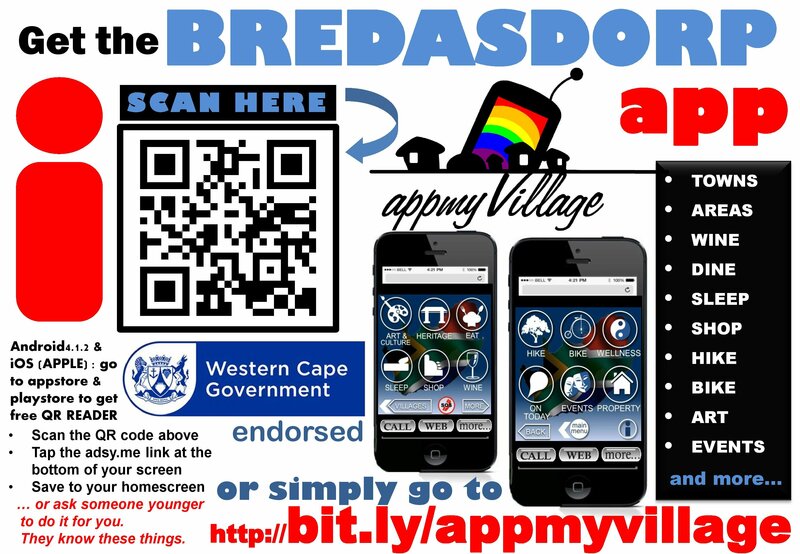 Dankie Tiekelieks Dagsorg Kraaifontein dat jul ons vertou het met die opleiding in mobiele brandtoerusting vandag.